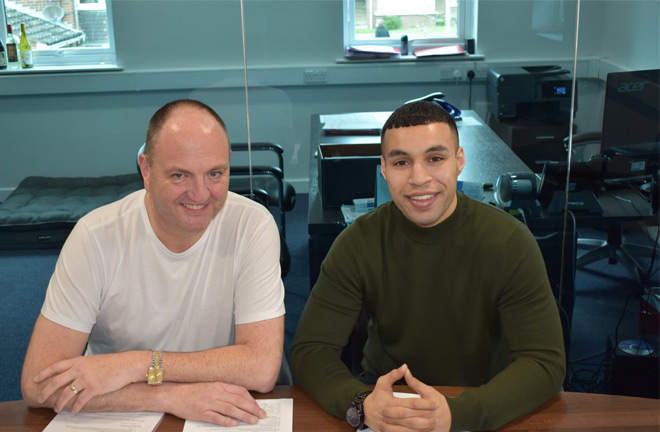 Goodwin Boxing sign undefeated Super Welterweight Tony Bange. Goodwin Boxing are delighted today to unveil their latest signing undefeated Super-Welterweight Tony “TNT “ Bange. Tony brings a professional record of 4-0 and is looking to build towards titles in the next 12 months. Bange was discovered by the legendary “Prince” Nasseem Hamed who still retains close connections with the Bange family and will be there to support Tony all the way to the top. There is no doubt Tony has a great career ahead of him which was paused for a short period of time due to personal circumstances, but he is back, ready & raring to go. Tony’s last performance saw him floor opponent Paul Cummings en route to a points victory over 6 rounds at Crystal Palace. Tony had looked at various managerial options and decided on Steve Goodwin as by far and away the best option. “I am really excited about joining the Goodwin team and after meeting them feel they are the group to take me where I need to be”. Next articleGENNADY “GGG” GOLOVKIN IS BACK!